1. The intended purpose of Q-tips is to clean the wax out of your ears. Actually, Q-tips can cause wax to become more tightly packed against your eardrum, leading you to dig further in and eventually rupture it if you aren’t careful. Some actual uses for Q-tips? Taking medical swabs, applying makeup, and cleaning OUTSIDE the ear. 2. Putting batteries in the fridge will help to extend their life. Both Duracell and Energizer actually recommend that you don’t store your batteries in the fridge. The condensation in the fridge can actually cause corrosion that will decrease the shelf life of your batteries. 3. Applying toothpaste to a pimple will help to clear it up. 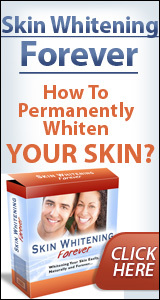 Yeah, actually, you’re just drying out and irritating your skin even more. Putting toothpaste on your skin can even cause burning. Not worth it. 4. You should wash your hair with shampoo every day. Too much shampooing can actually remove essential oils from your hair and cause your follicles to dry out. Experts recommend washing your hair only three or four times a week or using milder shampoos to keep hair healthy. 5. Toothpaste only works if it’s foaming. The foam is actually a side effect of sodium lauryl sulfate, a synthetic detergent, that can cause negative side effects like hypersensitivity if used in excess. Plus, the foam gets all over your mouth if you’re not careful, so it’s pretty annoying anyway. 6. The alcohol completely evaporates out of wine when you cook with it. Though the alcohol in each individual serving may be low, wine and other types of alcohol can retain an alcohol content of around 5% after two and a half hours of cooking. So if you want to get drunk off food, you’d better be prepared to eat a ton. 7. If you swallow your gum, it will stay in your body for seven years. Though it moves through the digestive system at a slightly slower pace than other foodstuffs, gum will only remain in your body for about a week at most. So you can stop worrying about that gum you accidentally swallowed four years back. 8. Apple computers can’t get viruses. Many people believe that the architectural code underpinning Mac operating systems prevents these computers from getting viruses. However, as long as a virus is written well enough, it is able to get around the code and infect your computer. So stop gloating, members of the Apple cult. 9. Coffee acts as a diuretic. While caffeine does have mild diuretic effects, it’s nowhere near what people generally assume. In fact, it’s basically the same as regular old water — the more you drink, the more you pee. 10. Alcoholic beverages make your body warmer. This sensation is the result of the shift in blood flow that comes from blood vessel dilation when you drink. The minds of college students everywhere have just been blown. 11. Special oils and conditioners can completely repair split ends. Though oils and conditioners can help decrease the visibility of split ends by using certain polymers, they can’t cause the split ends to actually go away. Guess you’ll just need to get a haircut if you want those things gone. 12. All food must be consumed by its “use by” date or it will go bad. The “use by” date actually just reflects when the product can no longer be guaranteed to be at peak quality. But yeah, I’m still going to follow it anyway. 13. If you double-dip your chips, you are getting germs and microbes everywhere. It seems like common sense, but surprisingly enough, in tests, the difference in the amount of microbes present after double dipping as compared to single dipping is actually negligible. So feel free to piss off the germaphobes at your next party and get your dip on as much as you want. 14. The best way to remove ink stains from your clothing is with hairspray. It’s not the hairspray that does the trick — it’s the alcohol that it contains. And since some hairsprays don’t contain alcohol at all, the best way to remove an ink stain is to use regular old rubbing alcohol. 15. You need to use wood polish every time you clean wood furniture. Actually, the polish might contain oils that attract even more dust, and if overused, the polish could even dull the wood. Great news for all of the lazy housekeepers out there. 16. Using a cell phone while pumping gas can lead to a fire or explosion. There is no evidence to support the claim that cell phones cause gas station explosions, and this myth has specifically been busted by the TV show Mythbusters. Just because it’s safe doesn’t mean you won’t be annoying all the other motorists will your loud convos, though. 17. You can never put metal in the microwave. While it’s true that most metals should not be put into the microwave because they can cause electric arcing, there are certain specially designed metallic containers that can be used in the microwave with no problems. Most takeout containers are still off limits, though.